The Written Nerd: The holiday book drive you've been waiting for! anyhow, just saying that that's a sersiouly awesome cause! Your stock is a'rising. I once taught driver's ed (yes, terrifying) and the owner of the company gave away hours and hours of free driving lessons to refugees from Somolia and West Africa. We didn't stop at just getting them a driver's licence, we then helped them find jobs. Just being browsing blogs and this one came up. 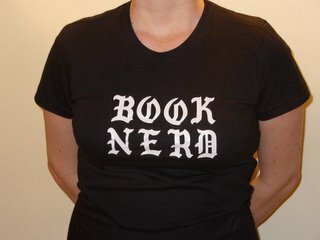 Im one hell of a friend of books myself, and with a quick glaze upon your blog i might say you are too. To me reading represents will and enthusiasm to use onselves imagination. This is a diminishing resource in modern society, and i appreciate it a lot. Good to see its not compleately destroyed yet. If I were to wager a guess at why, I’d say that users don’t “browse” forms. The interaction style users engage in with forms is different, and requires its own study and design best practices. Jeez, I sure love Brooklyn and all you world savers over there.